The first trailer for the Hellboy reboot, starring Stranger Things' David Harbour in the titular role, is here. And for anyone who's been following the film's production, it's a little odd because the tone of the Hellboy trailer skews towards bloody action-comedy, something you would expect from Deadpool, and not what the co-writer Andrew Cosby had been promising before production began. Cosby had said that director Neil Marshall was going for a “darker, more gruesome version of Hellboy” and that his film would “walk a razor's edge between horror and comic book movie”. While the new Hellboy trailer is certainly gruesome, given the amount of blood splatter and violence that is on display, the dark and horror aspects fail to come across if they do exist. Sure, there's the presence of Milla Jovovich as Nimue the Blood Queen, who's trying to destroy mankind according to the official synopsis, but the one-liners — be it Harbour's exchange with a police officer or his colleague Ben Daimio (Daniel Dae Kim) — the way the action is directed, and the choice of background music completely transfers the Hellboy reboot to a different style of comic book movie. On the other hand, it's possible that the trailer is selling a different film than Hellboy truly is. Marketing isn't always in the hands of filmmakers, with studios sometimes hiring external partners to handle the process. But that would only make things more curious and interesting, as Marshall's film would somehow have to juggle the jokey and serious sides of the story, and not somehow end up with a tonal mismatch. 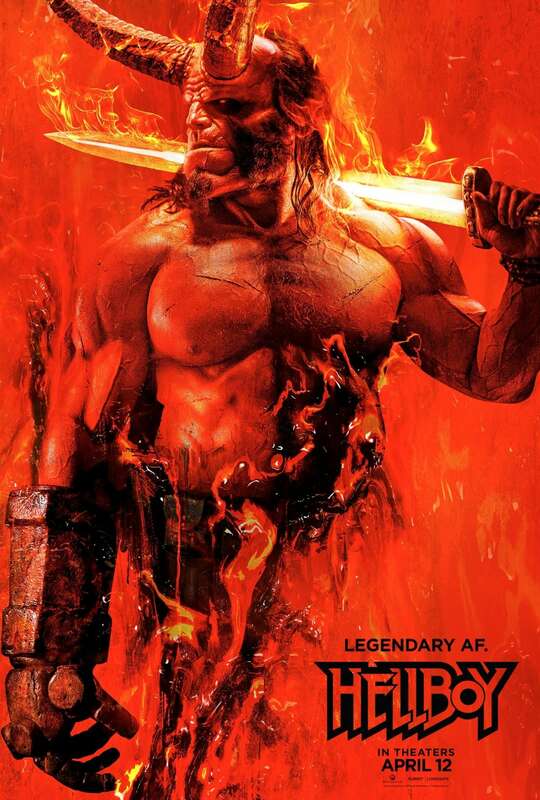 In addition to Harbour, Jovovich, and Dae Kim, the Hellboy reboot also stars Ian McShane as Hellboy's adoptive father Trevor Bruttenholm, who is the founder of the fictional government organisation that Hellboy works for, Sasha Lane (American Honey) as a woman with some magical abilities, Brian Gleeson (Love/Hate), Sophie Okonedo (Hotel Rwanda), Penelope Mitchell (The Vampire Diaries), and Alistair Petrie (Rogue One). Hellboy is slated to release April 12, 2019.